Contrary to how it may feel, your competitors don't have to work against you. Given the right environment, those you thought you were fighting against can actually help you succeed – and vice versa. Keep reading to find out how. What’s The Point Of Peer Groups For Managed Services IT Companies? Contrary to how it may feel, your competitors don’t have to work against you. Given the right environment, those you thought you were fighting against can actually help you succeed – and vice versa. Keep reading to find out how. It’s a fair assumption that you don’t think too highly of your competitors, right? Even if you can respect how they do business, they’re likely more of a sore subject for you than anything else. Want to know a secret? Under the right circumstances, and with the right guidance, you can turn your competition into something far more useful to you – your peers. When connected via a national group that operates beyond the borders of your local market, you don’t have to worry about interacting with those who are actually vying for business from the same potential customers as you are. Instead, you can share experience, insight, and other valuable intel with each other to help everyone grow and develop. This is precisely what peer groups are all about. Consider the Ulistic High Performance Club. This is a peer group made up of the top performing IT services companies throughout Canada and the United States, focusing specifically on the professional development of its members as leaders, as well as how those members can better deliver the range of IT services that they’ve committed to providing to clients in their local business communities. With a mission like that, can you blame Jorge Rojas from Tektonic Inc. for joining? Jorge was a part of the latest Ulistic High Performance Club event at Salvatore’s Grand Hotel in Buffalo, NY on June 28th and 29th. Roy van Norstrand from Leren Group shared business leadership skills while MSP marketing expert Stuart Crawford shared how members like can reach new companies in their target markets – in Tektonic’s case, Toronto, and the GTA. What Do Peer Groups Offer Managed Services IT Companies? While you may think otherwise at first, Jorge didn’t just attend the event as an excuse to visit New York. 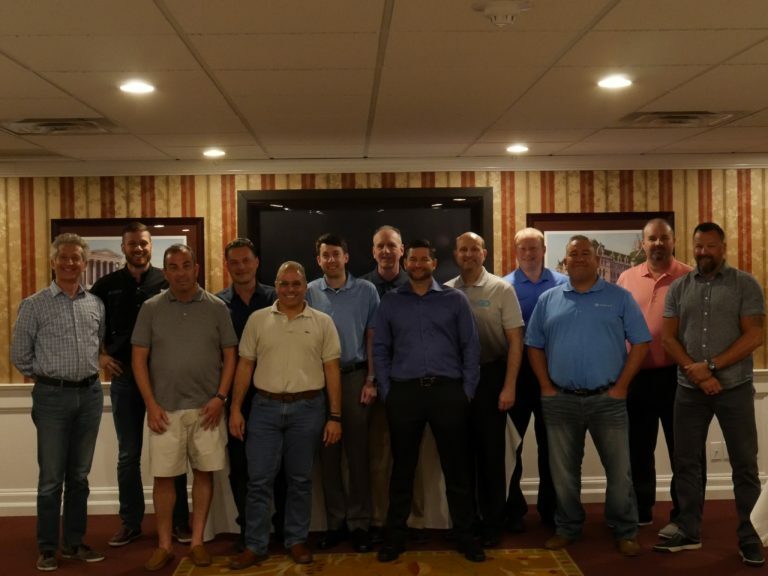 Whereas a lot of professional development conferences are only seen as a chance for high-level executives to unwind, Jorge and the other members of the Ulistic High Performance Club gained a lot of valuable insight over the course of the event. No matter what point a company may be at – a few months after start-up, or years into growth – one thing stays the same: the challenges are always new, and always difficult to overcome. This is a specific opportunity for peers to help. The many different representatives of businesses involved in the Ulistic High Performance Club, and other groups like it, offer invaluable knowledge as to how they acted at each point in their growth, what problems they had to solve, and what solutions they found to be the most effective. Who holds the CEO accountable? Sure, a C-level executive may answer to the Board of Directors, but what about matters more specific, or ineffable than quarterly fiscal reports? When a CEO has cultural, or innovative strategies for the future in mind, who can really understand where they’re coming from, and the importance of holding them to their word? Peers are a great tool to help CEOs stay focused on the goals they set, no matter what they may be. Why? Because they really understand each other. They’re not other stakeholders, they’re other owners, who know the weight of employing a staff, managing their efforts, and relying on their teamwork. By laying out the CEO’s goals at one peer group meeting and following up on them with the members at the next one, they’ll clearly be more motivated to actually see them through. This is just one of the things that the Ulistic High Performance Club encourages its members to do. This one is simple, but it’s a big part of what makes peer groups so effective. They simply provide a sounding board for people who may not have anyone else to talk to that really knows what they’re going through. To be clear, it’s not necessarily a therapy session, where one would air their dirty laundry. However, you’d be surprised at how effective it can be to simply chat with s someone who also runs a business in the same field as you. You can connect over a recent, unpopular development that you have a shared dislike for. That small moment of camaraderie can do wonders for your outlook. It’s all these reasons and more that Jorge and the Tektonic Inc. team know that their involvement in a peer group like the Ulistic High Performance club is what truly separates them from other IT managed services companies operating in the GTA. Like this article? Check out Questions When Outsourcing IT Services For Electrical Contractors, How to Connect an iPhone to an Amazon Echo Device and Play Music on Alexa, Managed Services Pricing (Questions/Answers), to learn even more.